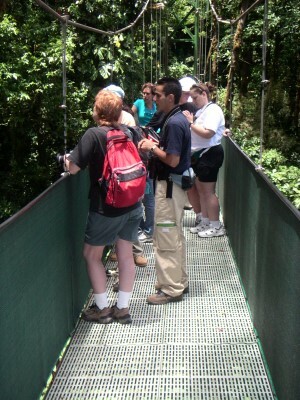 Today we participated in two of Costa Rica's signature tours, the sky walk and the sky trek canopy tour. The group that I was in started with the sky trek tour. 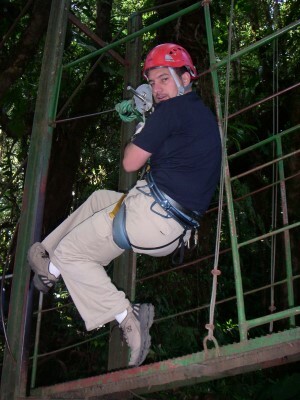 After donning our equipment we received a brief instruction on how we'll cross on the zip lines. 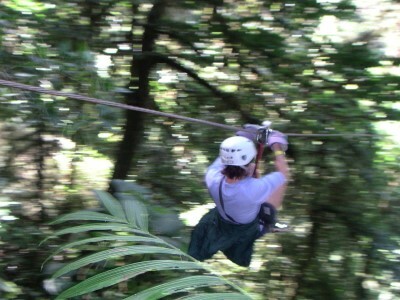 From there we zipped across 11 zip lines, each progressively longer with the longest being 770 meters. (almost half a mile) After zipping across the last line we removed our safety harnesses and went on a sky walk tour across six suspension bridges above the forest canopy. The rest of today was spent traveling to Arenal. Upon returning from SkyTrek everyone gathered their luggage and loaded on to a fleet of vans for a long, slow, bumpy, dusty, and arduous trip. 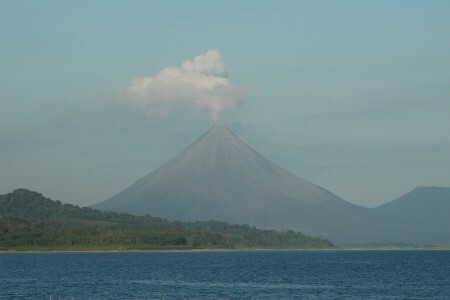 After what seemed like hours of bouncing around in the van, dodging rocks, boulders, and potholes that looked they could swallow half a car, we arrived at the western edge of Lake Arenal where we had a great view of the Arenal Volcano with a plume of smoke rising from its crater. 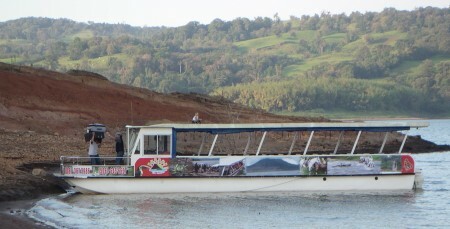 From there we boarded a boat that took us to the other side of the lake where we boarded small busses and were transported to the Tabacon Grand Spa Resort. 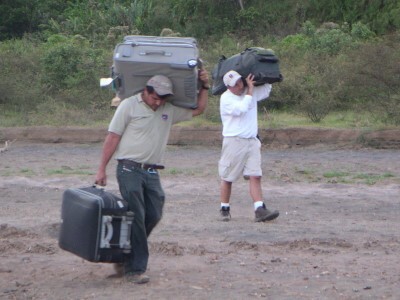 Unfortunately by time we arrived at the resort it was already dark and I think many people were exhausted and short tempered from the rough handling. Everyone was pretty much starved, so we broke into groups and took cabs to the nearest town. The group I was with ended up eating at La Choza de Laurel Restaurant which was very crowded and hectic and I wouldn't recommend. The menu was in both Spanish and English, but was very confusing and for some reason I didn't see the English. I ordered espagueti a la marinera thinking I was going to get pasta with tomato sauce and was very surprised when I was served a large plate of every kind of seafood you can imagine with the head of a lobster staring at me. Needless to say I wasn't very happy with my order and the owner wasn't very happy that I wanted to send it back. I ended up paying for it anyway and ate a power bar I had back at the hotel when we returned.